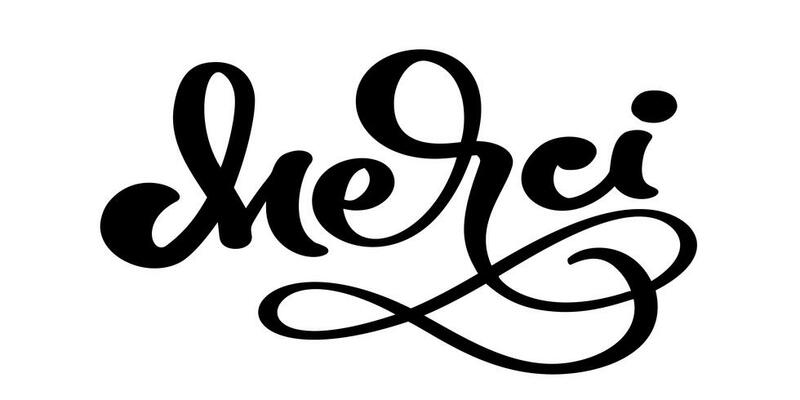 Vector hand drawn lettering Merci. Elegant modern handwritten calligraphy with thankful quote on French. Thank you Ink illustration. Typography poster on white background. For cards, invitations, prints etc.